Vice President Cheney dropped in on us at John Wayne Airport yesterday. 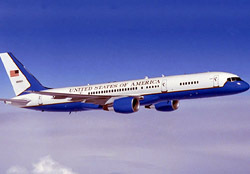 Air Force Two, a Boeing C-32A, arrived shortly after 1:00 p.m., and with it came an armada of police, Secret Service, and spooks that closed down the airport for the balance of the afternoon. It’s a shame, because in days past the arrival of the President or VP would have been an exciting thing. But all anyone could do yesterday was gird themselves for a day of lost work and wonder why Cheney didn’t land at Los Alamitos or March AFB. We knew he was coming — the FAA issued a Temporary Flight Restriction notice a few days beforehand. But the idiocy surrounding his visit is exactly the kind of thing I would expect from the Federal government. There’s nothing like being prohibited from entering or leaving your own building to make you feel free. And these TFRs don’t help Cheney’s security, they hurt it. It broadcasts for all to see the precise time and place of his arrival. Then there’s the TFR itself, which has a three nautical mile radius. At 3 miles per minute, anyone wishing the Veep harm would be able to cover that distance in less than a minute, even in a slow single engine aircraft. But most idiodic is the fact that airmen like myself who have long since been vetted by the government were prohibited from being on the airport while at the same time, line personnel who’ve barely had their drivers licenses verified are allowed to drive fuel trucks filled with thousands of gallons of jet fuel around the ramp. This sort of thing is so common that I’ve almost come to accept it as inevitable. Why fight it? I’m tired, and it’s easier to just let it go. The thought of writing about it didn’t even cross my mind until I heard a public service announcement from the Ad Council entitled “You Say Nothing” which urged people to be active citizens. It ended by reminding us that “when you don’t use your rights, you forfeit them” and “your freedom only thrives when you use it”. So I’m here once again to say that this trend of treating law abiding Americans like criminals has got to stop. Erosion of our freedoms, whether in the air or on the ground, has got to stop. Giving terrorists what they want — a climate of fear and distrust — has got to stop. Good intentions are not an excuse, and it’s well past time for us to stand up and say ‘enough’. It seems the more trustworthy a person is, the more they are ground into the dirt by ‘homeland security’. For example, here’s a message from a fellow pilot who flies the Boeing 767 for a major domestic airline. I’ve removed his name and that of his company because… well, because he lives in fear. Just the way a good American shouldn’t. I thought that I would just vent a little. Today I just landed my Boeing 767 Extended Range Freighter in PDX. It was my last trip so I walked over to our airline’s counter and tried to check in at the computer terminal for a flight home. To make a long story short, I was prevented from checking in and I was told that my name matches a name on the “TSA No-Fly List.” This took over an hour to get me approved to fly on this one flight. I was also told that I can no longer check-in online or use the computer terminal to check in. Each time I check in for a commercial flight, I will be prevented from flying and I will need a supervisor’s approval. I will also be subjected to additional security checks. I will just say that our government is a bunch of $&#(*@ idiots. I just landed a Boeing aircraft loaded with a 100,000 pounds of fuel, and now the are woried about me being a passenger, However, if I didn’t buy a ticket and I just showed my identification, I would be able to occupy the jumpseat on that same aircraft with no questions asked and no security at all. I just thought you all should know what our government is doing. This was a round trip ticket purchased ten days in advance by my employers travel agency. They had my frequent flyer number, I was not “flagged” on the flight out to PDX 5 days before. It was paid by a credit account, they knew that I was an FAR part 121 airline pilot that has MORE security and background check than ANY TSA employee. I am an applicant to the Federal Flight Deck Officer Program (gun carrying airline pilots). The ONLY thing that tied me to the list is my name. It would seem to make sense for the TSA to use more identifying information than that, however the TSA is not using any kind of common sense. I would like someone from the TSA tell me why pilots are regularly subjected to increased security. I am ALWAYS subjected to extra security when going through the airport screeners. The TSA does not seem to understand that an airline pilot has access to the cockpit. I won’t even address them taking my tweezers away yet the safety equipment in the cockpit includes an crash-axe. 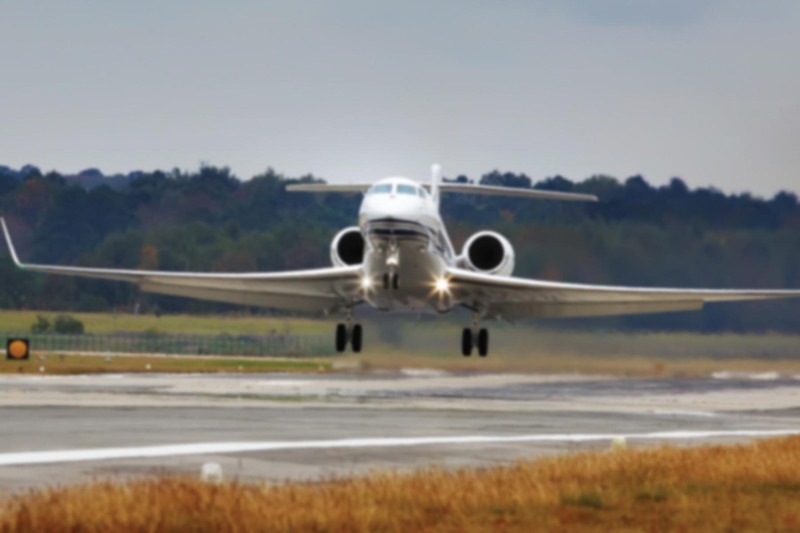 They are worried that a pilot may carry a sharp object into the airplane and use it as a weapon, yet they are not concerned about the 100,000 pounds of jet fuel that the pilot is controlling. As you can see I am being very careful of the language that I am using in this rant. I FEAR the TSA and the power that they yield against an American citizen. I NEVER thought that I would be confused with a person on the “no-fly list.” I hope others can learn from this and write their representatives. Our safety is important but we should not pay for it at the price of losing liberty. That’s but one person’s story. There are many others. I’d wager that whoever you are, whatever your occupation, you’ve got a story of your own. Don’t you? a) Flying is somehow viewed as a priviledge, not a right. This is bad because it means that Americans can only use the skies at the pleasure of the federal government. b) The restrictions and security procedures are put into place because politicians and government officials feel they have to ‘do something’. So they do something, even though they know what they are doing does not enhance security, but rather only inconveniences law abiding citizens. The restrictions are ‘feel good’ measures enacted to make the general public feel good. The TFR over Disneyland is a good example. It was prompted by commercial concerns from the Disney Corporation, not concerns over terrorism. That is not what TFRs were designed for, and it sets a bad precedent. The TFR should be removed unless there is actual evidence of a threat against the Magic Kingdom. And if there IS a threat, then don’t Disney and the feds owe it to the general public to make that threat know to the public so they can decide whether going to Disneyland is worth the risk? Ron..your friends story would be hysterical if it wasn’t true. Flying is not a right. Never was. It’s a priviledge. That’s the main problem with your argument. Once you confuse the two (right and priviledge) is when you get problems. You may continue ranting now. I would agree that flying on a commercial airliner is a privilege. Passengers are on board only at the behest of the aircraft’s owner. The use of the air, however, is a right. The government doesn’t own the air. If flying is not a right, than neither is driving. Or walking, or swimming, or sailing, or any other mode of transportation or movement.